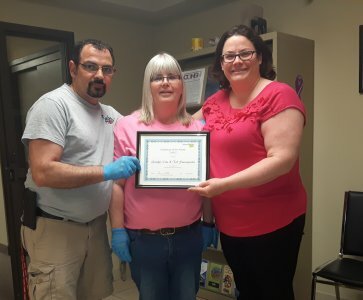 Employees of the Month - May 2018 Ted S. & Jennifer C.
Research has shown that hiring couples can inspire loyalty and productivity, in the case of Ted Stavropolos and Jennifer Cole this is certainly true. Jennifer and Ted have been with us since 2012 and have near perfect attendance since that time. We are pleased to present them as “Employees of the Month” for the month of May. Jennifer and Ted are responsible for several accounts and our clients speak highly of the quality of their work. Nothing matters more to us than making sure our clients are happy with quality of work from our employees. We feel lucky to have them on our team. Congratulations to both Ted and Jennifer! !